The team of experienced, trained professionals at Integrity Tree Care has been serving the Dallas-Fort Worth area since 2001. 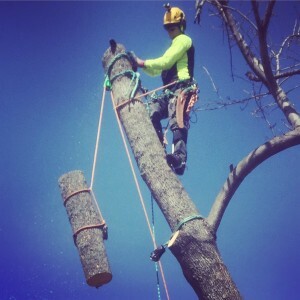 We offer a very high level of service, whether you’re in need of tree pruning, stump grinding, fertilization or anything else related to trees. 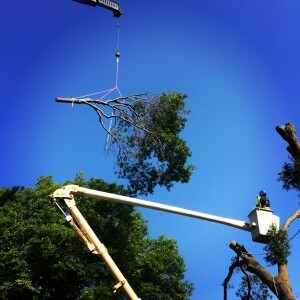 Our goal is to provide you with high-quality tree jobs, and we’re equipped to do just that due to our staff’s extensive training and knowledge. 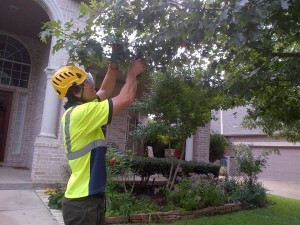 For premium tree services in Dallas-Fort Worth, contact us to get started. Our certified arborists and staff members are skilled in all aspects of tree care, and will work to solve any issue that you may have. Check that the company uses the recommended protective safety equipment. The government has established strict standards for safety, but many companies don’t follow them. Make sure that the person working on your trees is wearing a hardhat, safety goggles, earplugs and cut-resistant pants. Ask the worker a few questions to determine their skill level. Why is pruning important for trees? Why remove live tissue? Do they use climbing spikes on live trees? Do they sterilize their equipment between jobs? These are all very important questions that should be addressed. If a company can’t answer them, you may want to go with someone more experienced and skilled. At Integrity Tree Care, we hope to educate our clients about proper tree care so that you can always preserve the beauty and longevity of your trees. 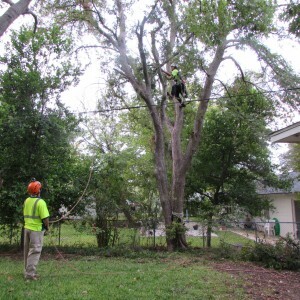 We pride ourselves on offering some of the best tree services in Fort Worth and Dallas, so put us to work for you.